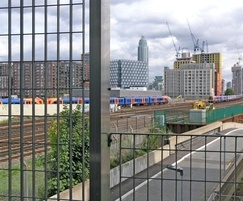 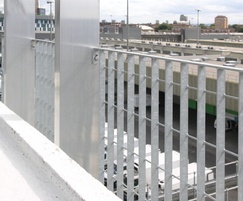 The refurbishment of the car park was one of the first steps in the regeneration of New Covent Garden Market; a project which is projected to take 10 years at a cost of £2 billion. 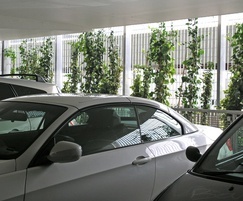 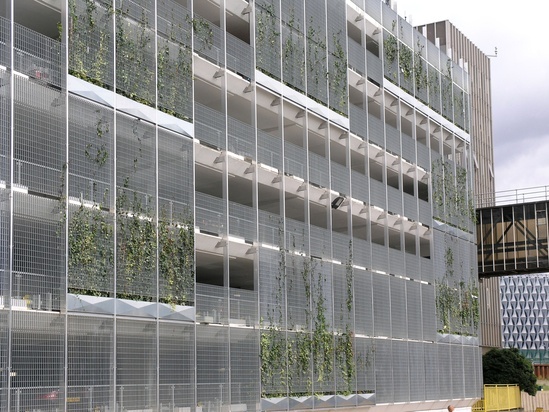 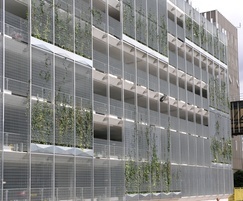 Appropriately for a flower and fruit market, BDP designed a green wall facade. 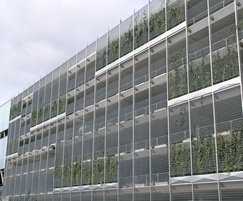 Lang+Fulton’s Stereo-3 panels were chosen to clad three elevations of the 7-storey car park, sections of which will become covered in ivy. 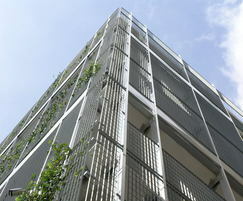 The design incorporated an aluminium box section framework and feature panels as well as open spaces to create added interest. 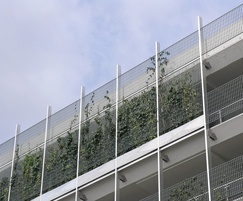 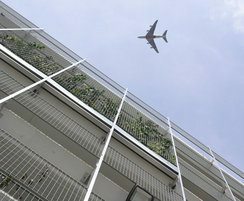 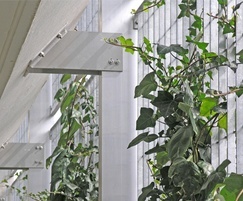 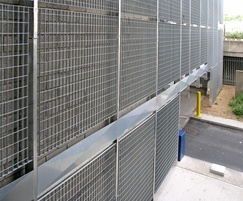 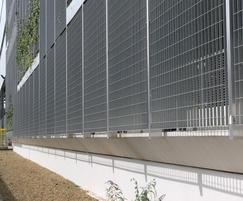 In total Lang+Fulton supplied 422 grating panels in various sizes up to 2510mm high to cover an area of 1296m2. 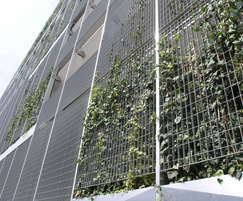 The grating panels were framed at the top and bottom with bent over lugs for fixing to the aluminium uprights.